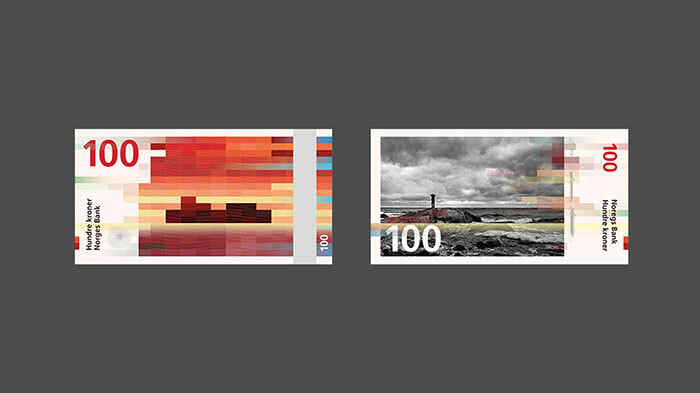 A competition was held in the spring of 2014 for the design of motifs for Norway's new banknotes. The purpose of the competition was to arrive at an artistic proposal and communicate the theme "The Sea." A proposal by The Metric System entitled Norwegian Living Space and Snøhetta's Beauty of Boundaries stood out. 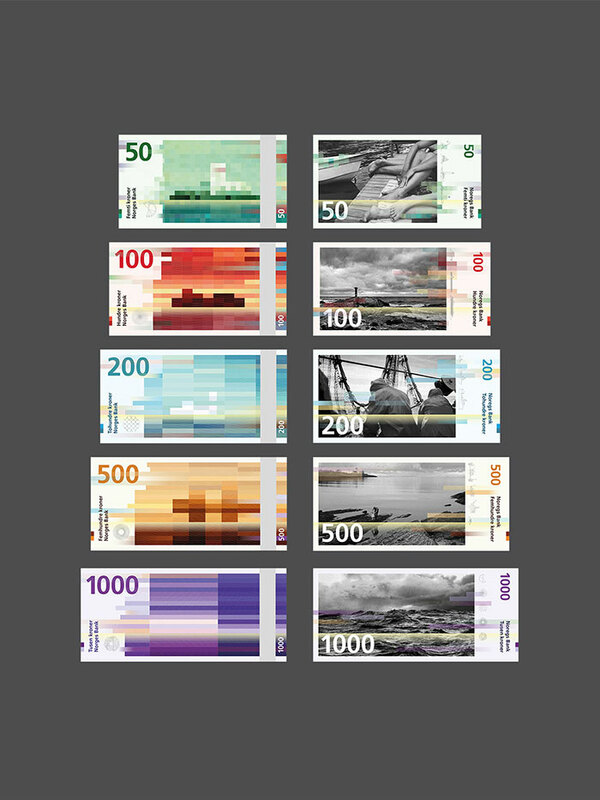 Norges Bank decided that Snøhetta’s pixel motifs will be the foundation for the back of the notes, while The Metric System’s design incorporating ocean scenes will be on the front. Combining abstraction and realism creates a dynamic contrast as when digital meets analog. 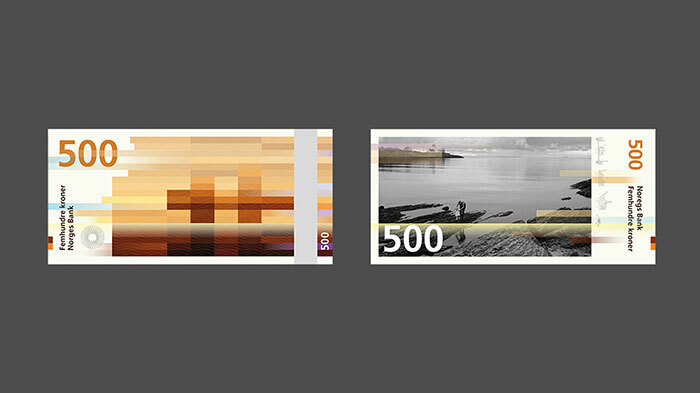 The cubic patterns on the reverse side is an abstraction of the sea and depicts the coast, the horizon and the motif. Both the cubic and organic patterns follow the Beaufort scale as an expression of wind speed which affects the waves in the sea. 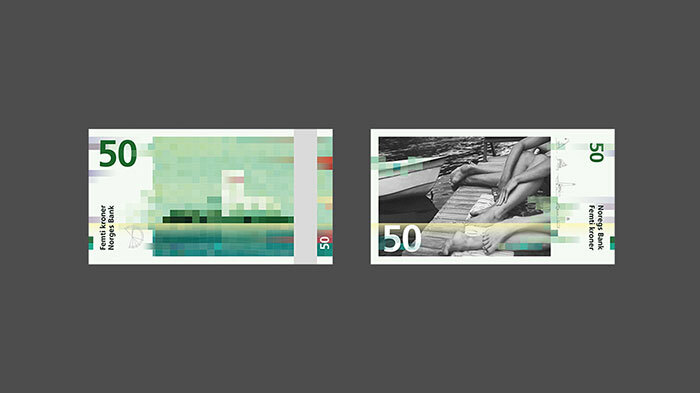 The designs are still a work in progress as security elements need to be incorporated into the notes. For that reason, the finished notes may differ somewhat from those shown above. 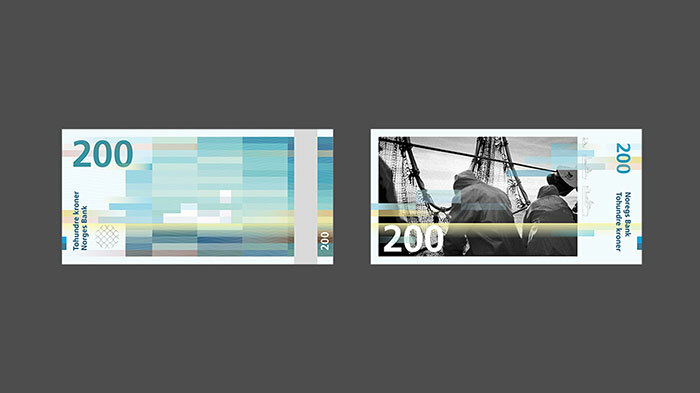 The first of the new notes will be issued in 2017 at the earliest. 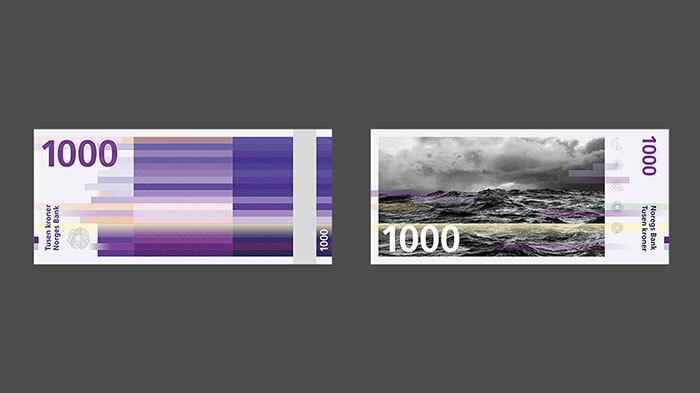 A dynamic design for Norway's bank notes.